Looking for a doctor in Aberdeen? You can see a GP online in minutes. With Push Doctor, you don't have to visit a clinic. With Push Doctor, you don't have to visit a clinic. You can speak to a GP online, on any device, from 7am - 8pm, 7 days a week, 365 days a year. Our NHS-trained GPs can treat almost everything your own doctor can, as well as write same-day prescriptions, referrals and fit notes. See a GP today from the comfort of your own home, at work or even when you’re on the go. Around 230,000 people live in Aberdeen, which can mean there are often long wait times to get a GP appointment. With Push Doctor, you don't have to hang around. You can have a face-to-face video consultation with a UK GP in minutes. Delivered to a local pharmacy. Still looking for a walk-in centre in Aberdeen? 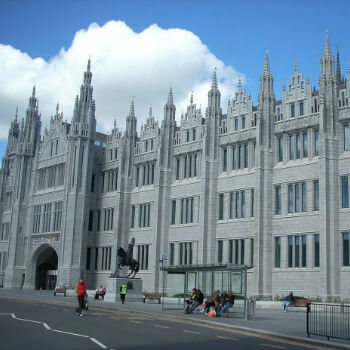 Learn more about walk-in centres in Aberdeen below. If you'd still like to visit a walk-in centre in Aberdeen, the Carden Medical Centre isn’t far from Union Square Shopping Centre. It accepts a limited number of emergency on-the-day appointments. Need to find a local pharmacy in Aberdeen ? Albyn Pharmacy is open 6 days a week, so you can collect your medication at a time that suits you.